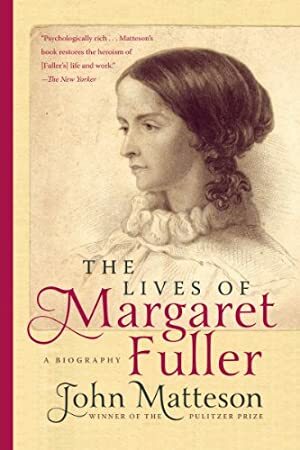 A brilliant writer and a fiery social critic, Margaret Fuller (1810-1850) was perhaps the most famous American woman of her generation. Outspoken and quick-witted, idealistic and adventurous, she became the leading female figure in the transcendentalist movement, wrote a celebrated column of literary and social commentary for Horace Greeley's newspaper, and served as the first foreign correspondent for an American newspaper. While living in Europe she fell in love with an Italian nobleman, with whom she became pregnant out of wedlock. In 1848 she joined the fight for Italian independence and, the following year, reported on the struggle while nursing the wounded within range of enemy cannons. Amid all these strivings and achievements, she authored the first great work of American feminism: Woman in the Nineteenth Century. Despite her brilliance, however, Fuller suffered from self-doubt and was plagued by ill health. John Matteson captures Fuller's longing to become ever better, reflected by the changing lives she led. Track It. This book has been $7.40 within the past year. We started tracking this book on February 6, 2012. This book was $15.29 when we started tracking it. The price of this book has changed 142 times in the past 2,635 days. The current price of this book is $9.30 last checked one day ago. This lowest price this book has been offered at in the past year is $7.40. The lowest price to date was $7.40 last reached on March 4, 2019. This book has been $7.40 one time since we started tracking it. The highest price to date was $19.95 last reached on February 18, 2017. This book has been $19.95 one time since we started tracking it. We last verified the price of this book about one day ago. At that time, the price was $9.30. This price is subject to change. The price displayed on the Amazon.com website at the time of purchase is the price you will pay for this book. Please confirm the price before making any purchases.